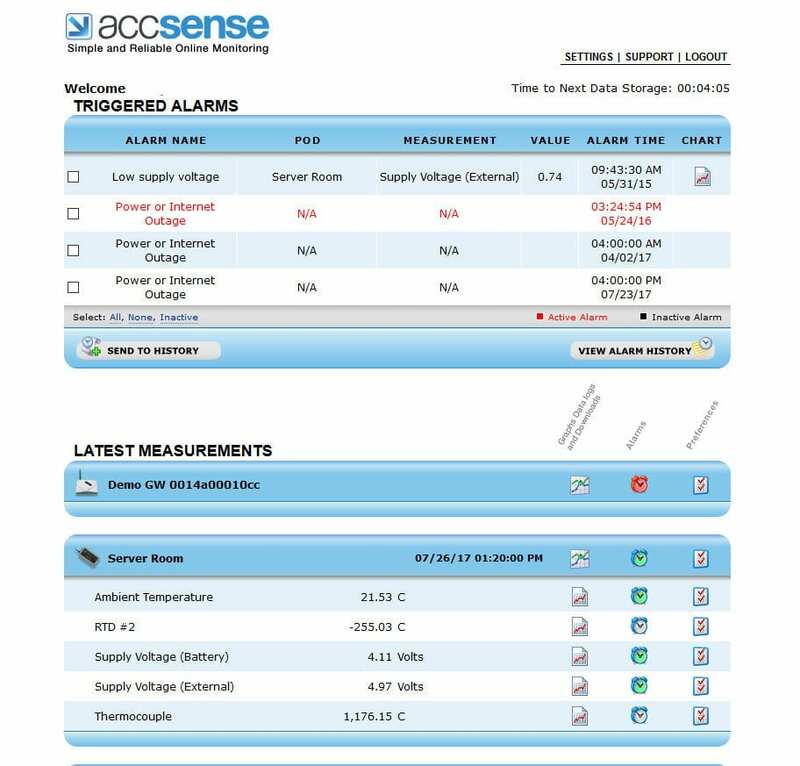 The Accsense Wireless Cryo Monitoring Kit is designed for high-accuracy temperature measurement and alarm in medical refrigerators, freezers, cryogenic storage, and incubators. Right out of the box, it will measure the ambient temperature. 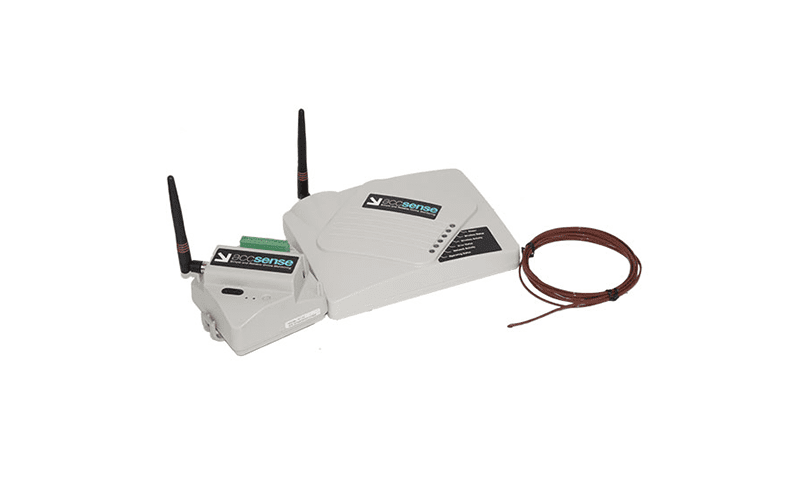 Additionally, the screw terminal connector can be used for hooking up a high accuracy RTD or thermistor temperature sensor. A separate miniature TC connector allows the addition of a Type T thermocouple for cryogenic temperature measurements.